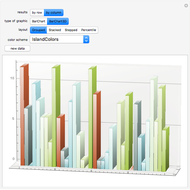 Mathematica's symbolic architecture and dynamic interface makes possible a uniquely flexible and convenient approach to charting. 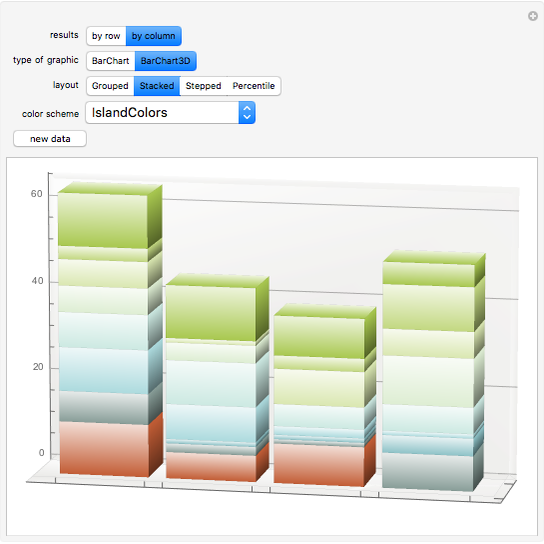 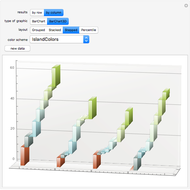 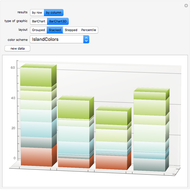 This Demonstration illustrates the new incredible possibilities of BarChart in Mathematica 7. 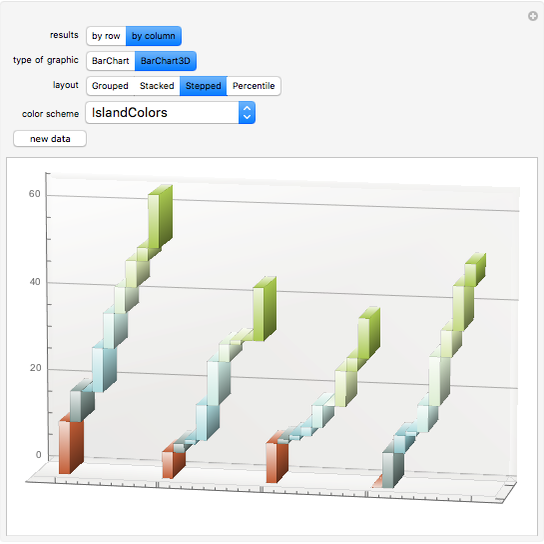 Bernard Vuilleumier "Charting with BarChart"